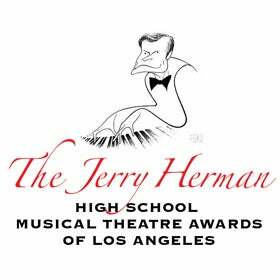 The objective of the Jerry Herman Musical Theatre Awards program is to create visibility for high school arts programs and generate an event that builds community while celebrating excellent work by teachers and students. We are looking for adjudicators that can determine how well a school is meeting or exceeding their potential. We are not comparing schools to each other, but rather challenging schools to create the best possible work they can in their unique circumstances. If you are interested in participating, please fill out an adjudicator application. The application for the 2018 season is now closed. The application for the 2019 Jerry Herman Award season will be available September of 2018.